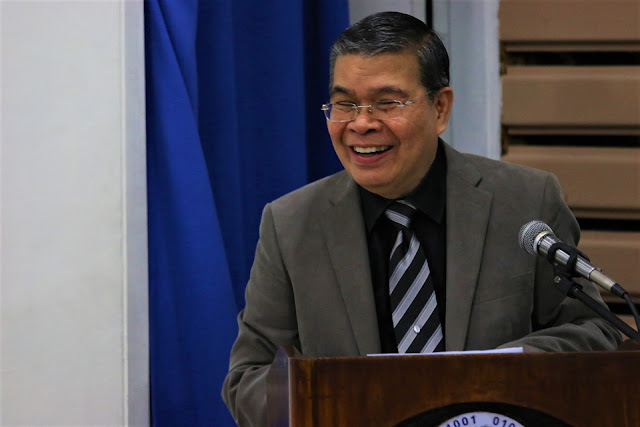 President Rodrigo Duterte has just announced that he has accepted the resignation of Secretary Rodolfo Salalima as Secretary of the Department of Information and Communications Technology (DICT). In a statement by Presidential Spokesperson Ernesto Abella, Sec. Salalima cited “personal and work-related reasons” for his resignation. Sec. Salalima was the first ever to head the newly formed DICT, considered a strategic component of the country with regards to science and technology and its use in national progress and development in the 21st Century for the country. Sec. Salalima is considered the “Father of Philippine Information and Communications Technology (ICT)” for his vigorous pursuit of ICT towards the need of the country in developing its own ICT sector in order to be competitive with the world. A robust and up to date ICT sector would serve as a “leveling” factor with regards to economic global competitiveness and would give the Philippines a strategic boost since information technology is considered a crucial part in national development. It is acknowledged that information technology will be a vital cog in harnessing the potential of the huge talent pool that the country has in the realm of information technology. Secretary Salalima advocated the provision of ICT all the way to the most remote corners of the country so as to provide services in health, education and good governance. He strove to boost the technology startup sector by fully supporting the endeavors of the youth and academe as part of creating innovative solutions to everyday problems of the Filipino. Before being appointed as DICT Head, Sec. Salalima was a top executive of a Telecommunications firm and has a wide purview of what the role of ICT in national development and progress. President Duterte has yet to find a suitable replacement for Sec. Salalima. Techblade has always been an advocate of the use of science and technology, particularly of ICT towards national progress. Article posted 9/21/2017 9:03 P.M.